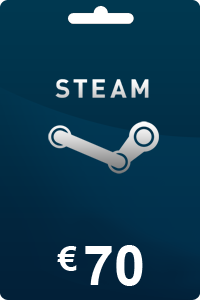 Shop on the Steam store safely and cheaply with Steam Gift Card 20 EURO. this product is a digital code, once bought, the code will be sent to your email or can be downloaded directly from your screen. These codes are original and are provided by Valve. Instant Access to Thousands of Games. Enjoy exclusive deals, cloud saves, automatic game updates and other great perks. Create and Share Content. Gift your friends, trade items, and even create new content for games in the Steam Workshop. Help shape the future of your favourite games. Join the Community. Meet new people, join game groups, form clans, chat in-game and more! With over 100 million potential friends (or enemies), the fun never stops. Entertainment Anywhere. Whether you're on a PC, Mac, Linux box, mobile device, or even your television, you can enjoy the benefits of Steam. Are you a sharp-shooting assassin? Do you seek glory on the gridiron? Can you devise the most cunning of strategies in open combat? When you're a gamer, there's no such thing as "Game Over." Ensure you never run out of gaming Steam by fueling the action with this Steam Wallet Card. Your key to a world full of gaming possibilities, this Steam Wallet Card provides you with 20 Euro to spend on the content you crave. Whether you're a soldier, athlete or explorer, one thing's for sure — you're a gamer. Are you ready for some Steam-powered action? 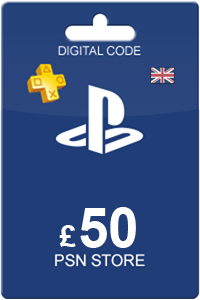 At livecards.co.uk, we offer various PlayStation Network Cards. To order your Steam Gift Card 20 Euro, click order now, select your payment method, enter your email *if using PayPal ensure it is the same email you use for your account*, confirm payment! Shortly after, your code will appear onscreen, and be emailed to your inbox! Do you want to deposit a bigger amount of money? If so, the Steam Gift Card 50 euro suits you better. How to buy Steam Gift Card 20 EUR? Livecards.co.uk makes buying Steam Gift Card 20 EUR as easy as pie! All you need to do is fill in your email address, pick a payment method, complete the payment and voila! The code is yours.